Below is the first part of a multi part series i’ll be blogging about over on Patreon. I’m in the process of writing part two for this but I thought I would give you guys a taste by posting the first post I made in the series here. You get access to this series, plus all of the other posts I make including reviews and general discussion for as little as $2 (USD - sorry I have no control over the currency Patreon uses) a month! Part two will be posted early February. Fell free to check out my work at patreon.com/jtwilsonphotoworks. Welcome to a multi post series which I’ll be doing over the next few months (in between other posts here), discussing how to compose your photos to make them more interesting. These are sometimes referred to as “Rules of composition”. I really don’t like the use of the word “rule” as it asserts that they MUST be used. Instead think of them as ideas to consider when taking that shot. This is a selection of my favourite rules to use, but they are not the only ones. I’ll talk about what I know best before I get into the other stuff. Now, before we get into these we need to get into the mindset of taking photos. We’re not out to just take snapshots, we need to think about what makes an image interesting, or aesthetically pleasing to us. So before you click that button you need to decide what type of photo you’re trying to create, and then apply some of our composition guidelines to generate some interest in the image. Everyones seen those “tilt shift” effects on Instagram blurring out backgrounds and foregrounds and Apples “depth effect” in portrait mode on their latest iPhones. In the photographic world we tend to refer to this sort of blur as “Bokeh”. In our cameras we create this by using a shallow depth of field either with a wide aperture, or longish lens (or both – more to come on how to achieve this in another post!). By using a shallow depth of field we can really isolate the subject of our photo and really make them pop. .The tripod and phone are the subject of this photo, I have used a very shallow depth of field to isolate it from the background which we aren’t interested in. See these lil tripods get a quick mini review here! A shallow depth of field isn’t always a good thing of course. There are times where we want everything in focus, and that’s when we want a deep depth of field by using a narrower aperture on our lens or a wider angle. Landscapes are usually shot with wide angle lenses and medium to narrow apertures because we want everything in focus. We can also use this when we want to bring our subject into context with its background. So! We divide our frame into 9 equal sections by drawing two lines vertically and two horizontally. Now we place parts of our composition on these lines, OR at the points they intersect. Here is a very simple use of it. I have placed the rally car on the left hand side of the frame on the line of the grid. One of my favourite shots of my gorgeous partner. A bit more complex this time, not only have I placed her face on the line, but her eye is right on the point where two lines intersect. This is also a good example of combining two of these composition elements by using the rule of thirds and a shallow depth of field. Even more complex this time - Again, the Bunsen Burner is on the line (on the right this time) but the base of the Bunsen also sits on the bottom line, and the top sits almost where the lines intersect. You can take this further by adding counter points and using the rule of thirds along with Leading Lines (That one is coming too) to draw the eye to secondary aspect in the image resting on another part of the rule of thirds grid. Fancy stuff huh? By using the rule of thirds we’re also using a technique known as “negative space” – which has more than just rule of thirds aspects to it. 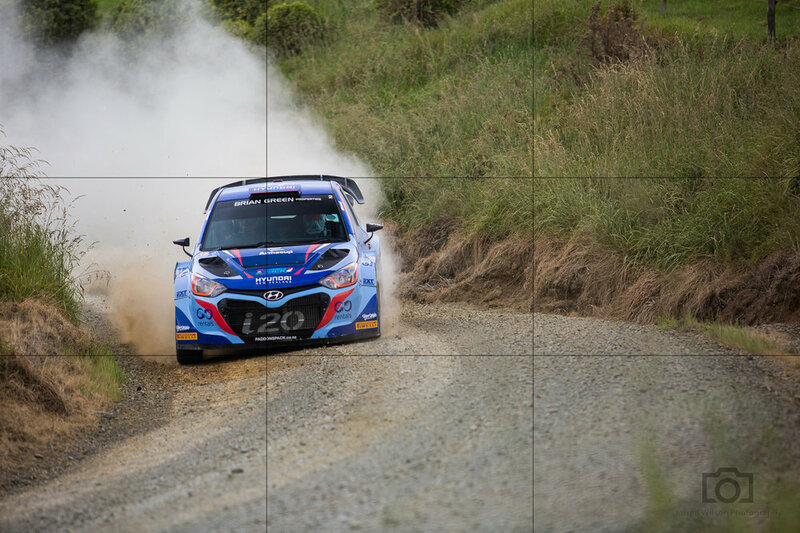 The rally car image above fore example has negative space to be used for sponsors and advertisers to place information/logos if required. More on that one in Part two!